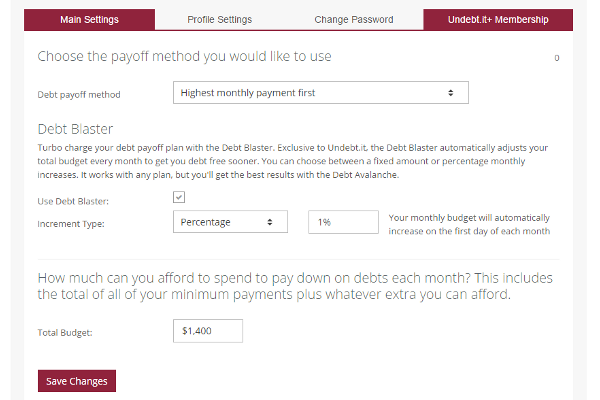 What's the deal with Undebt.it? 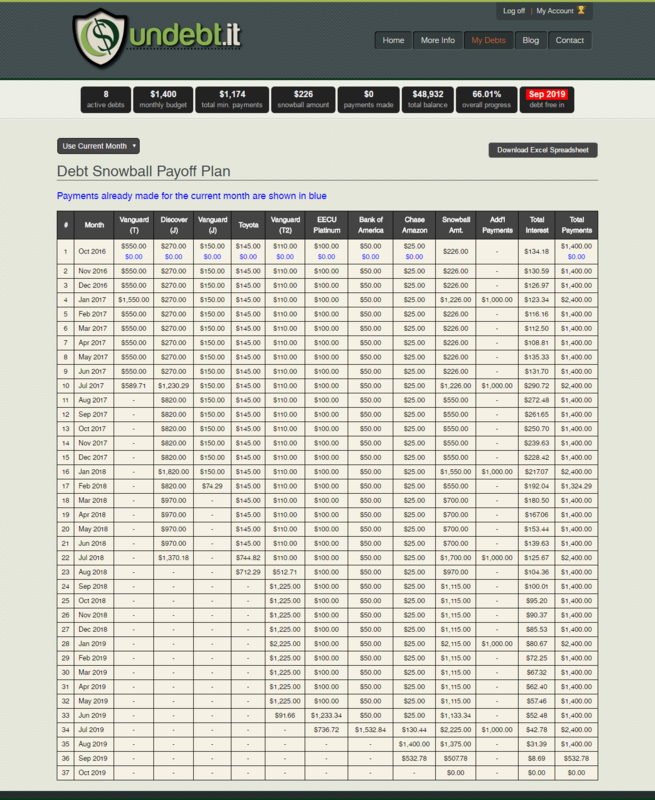 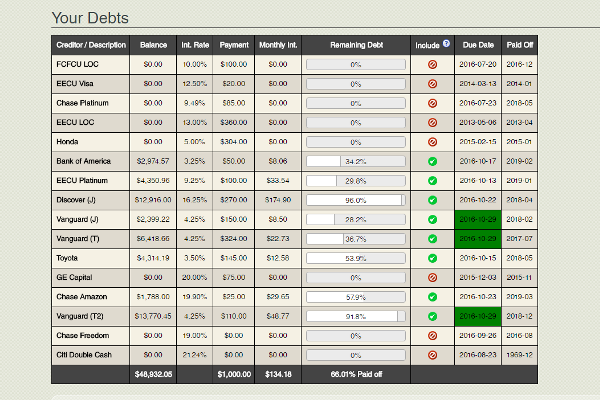 Undebt.it was officially born on February 28, 2012 as part of personal side project to handle paying off my debt. 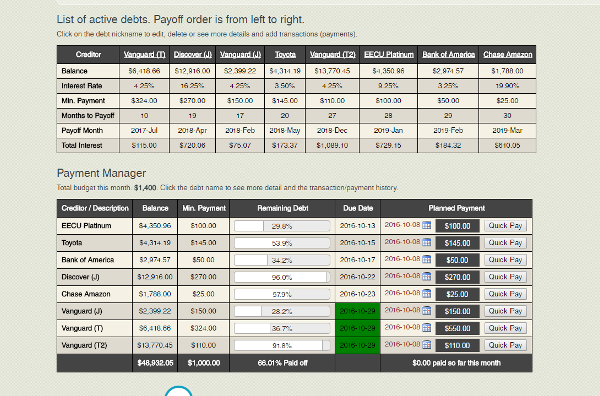 When I started to get a handle on my debt, I used an Excel spreadsheet and a couple of iOS apps to keep myself organized. 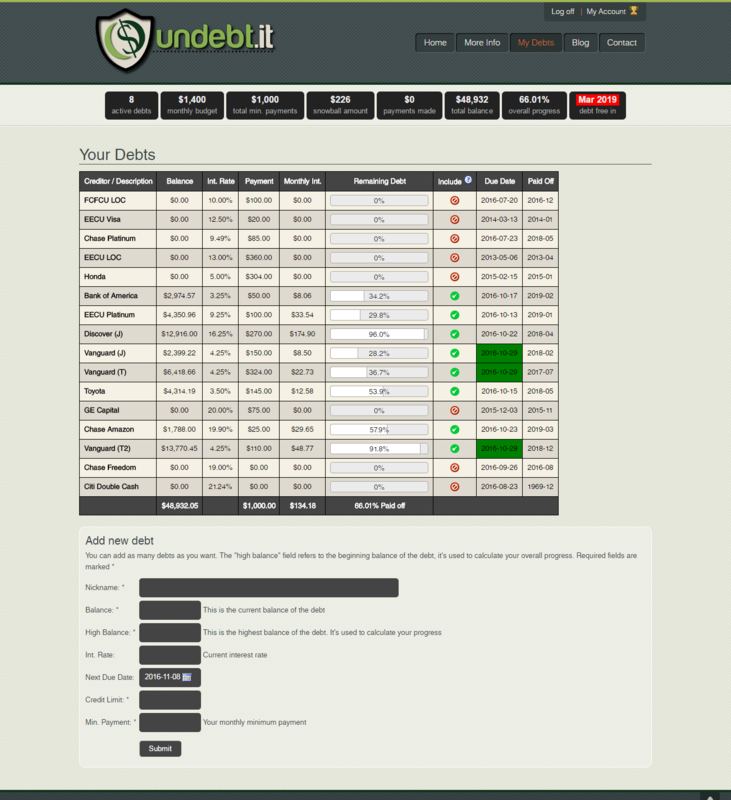 These tools worked fine, but I really wanted one tool to do everything - and I wanted it to be web-based and easy to use. 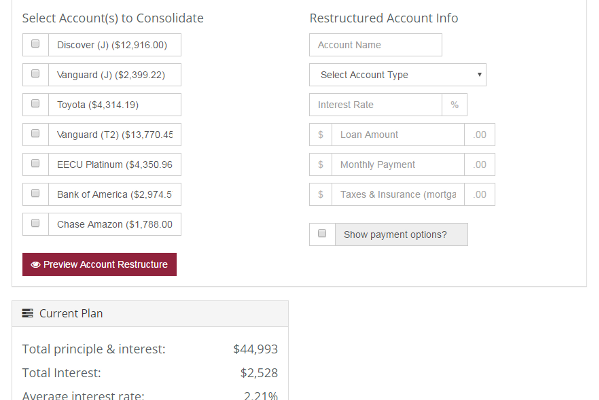 There really wasn't anything out there at the time that would do all of the things I needed the way I wanted them done so I decided to build it myself. 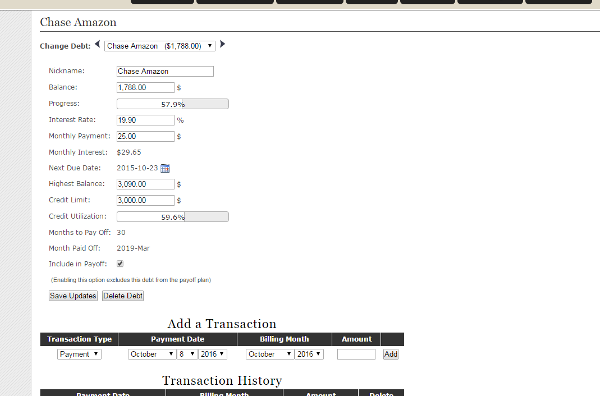 At the time, I had a few years of experience with an ASP-based e-commerce site that was part of my day job. 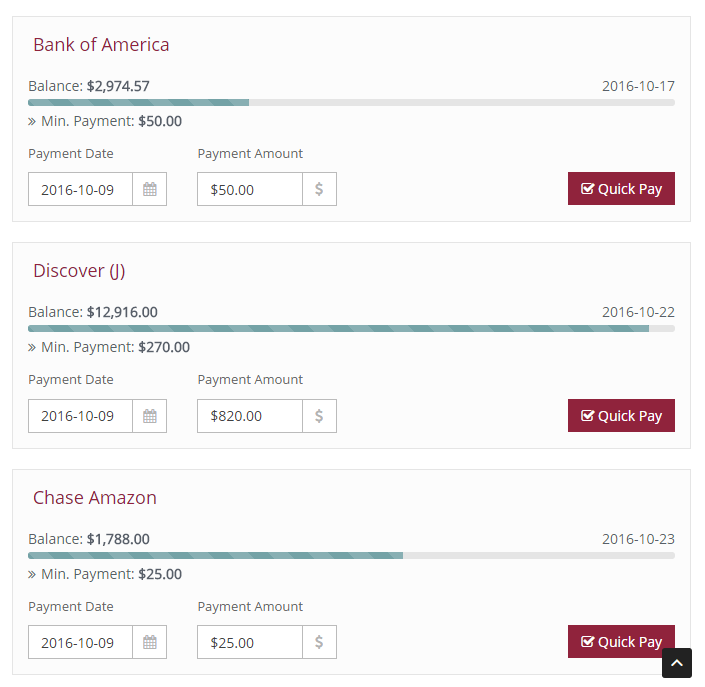 I thought this would be a perfect project to get to know the PHP programming language and I've been building the site up ever since. 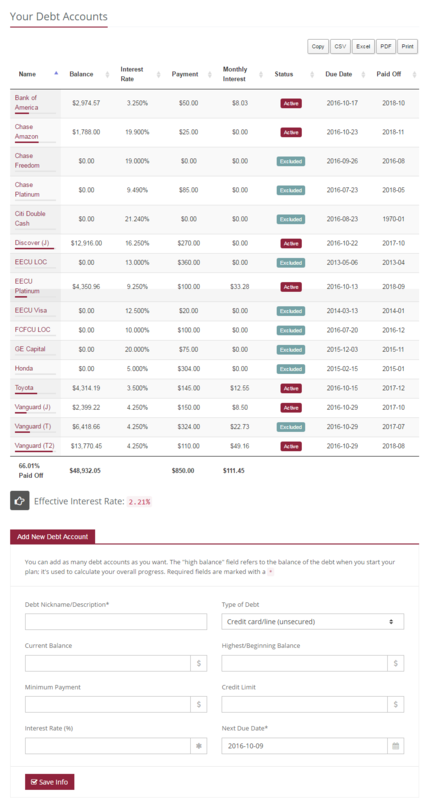 My main motivation for making this site public (and free) is that I wanted to make the tools that work for me available to everyone. 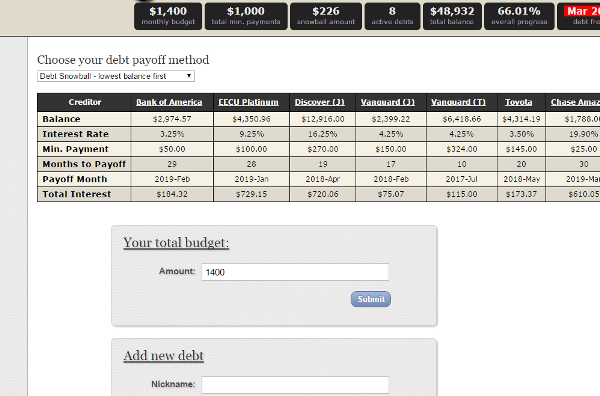 Being in debt has a major impact on your life by limiting the amount of financial flexibility you have. 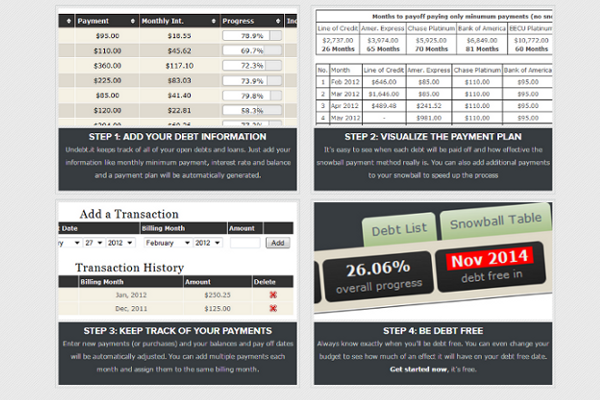 Interest paid on consumer debt is wasted money, plain and simple. 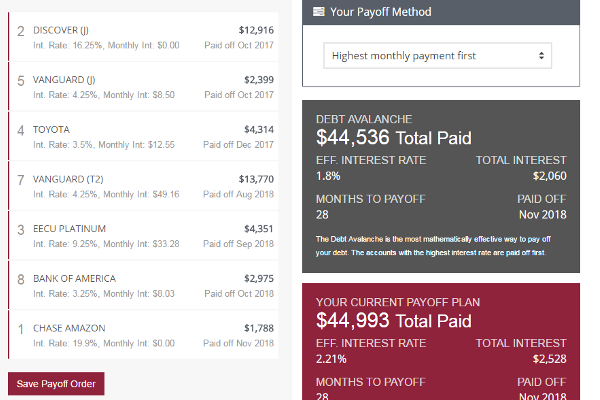 The sooner you get out of debt, the sooner you can start enjoying life a little more. 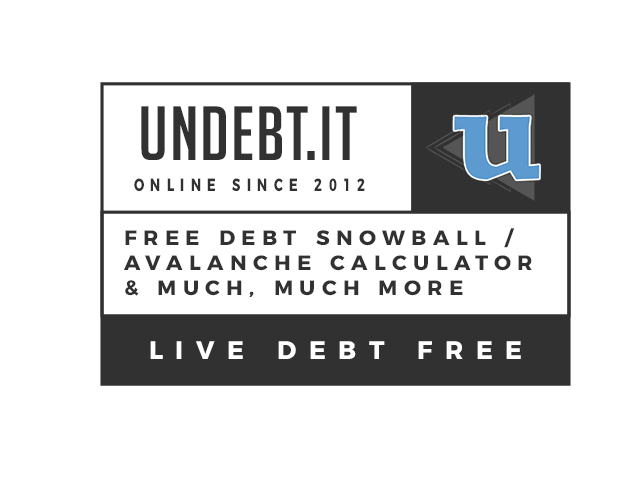 Have some fun and live debt free! 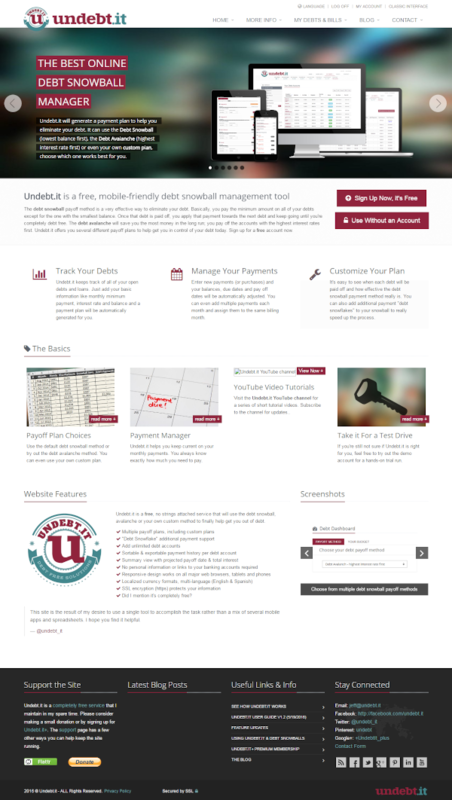 After only a couple of months I redesigned the home page, but kept most of the same color scheme. 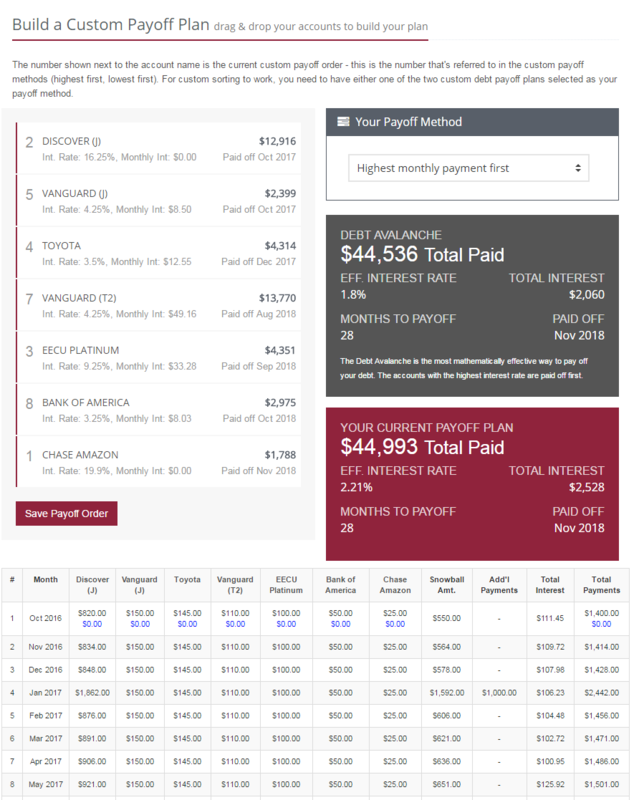 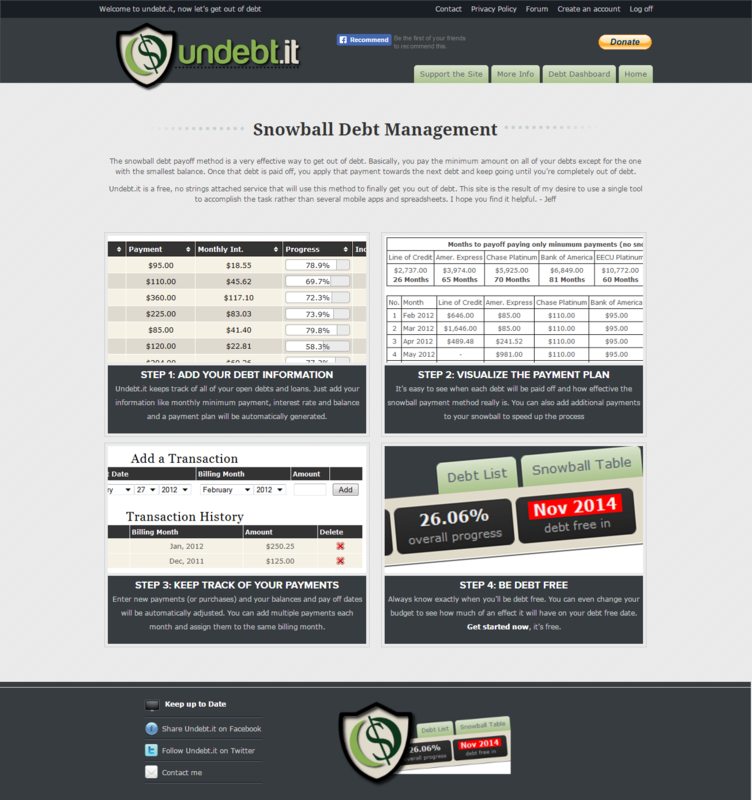 The second version saw some minor design improvements and overall page layout consistancy. 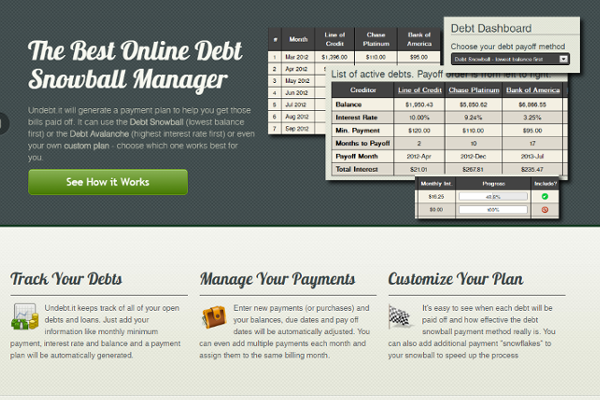 It worked much better on different browsers, but mobile device support was still a ways off. 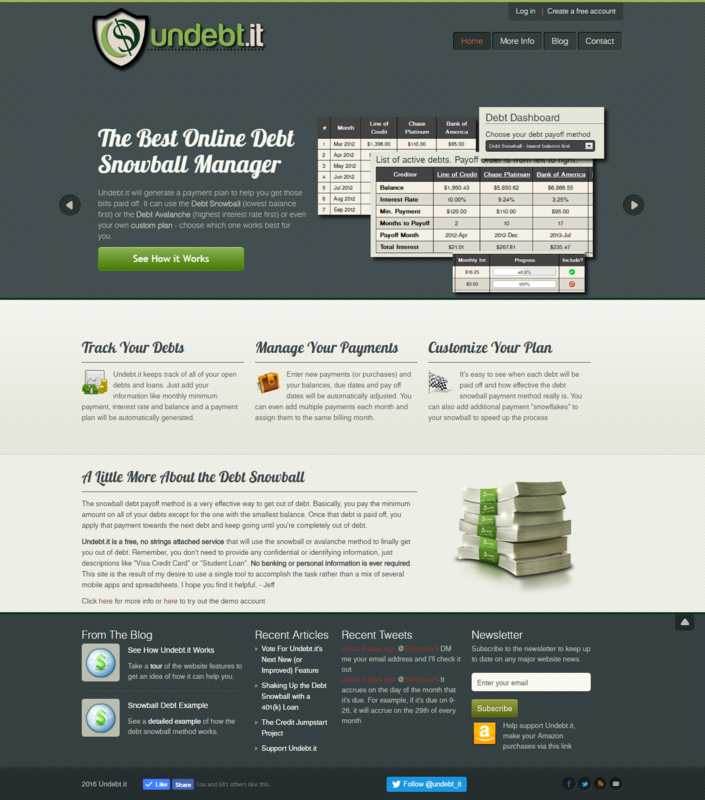 This version was based off of a professionally designed theme and that helped improve the development time quite a bit. 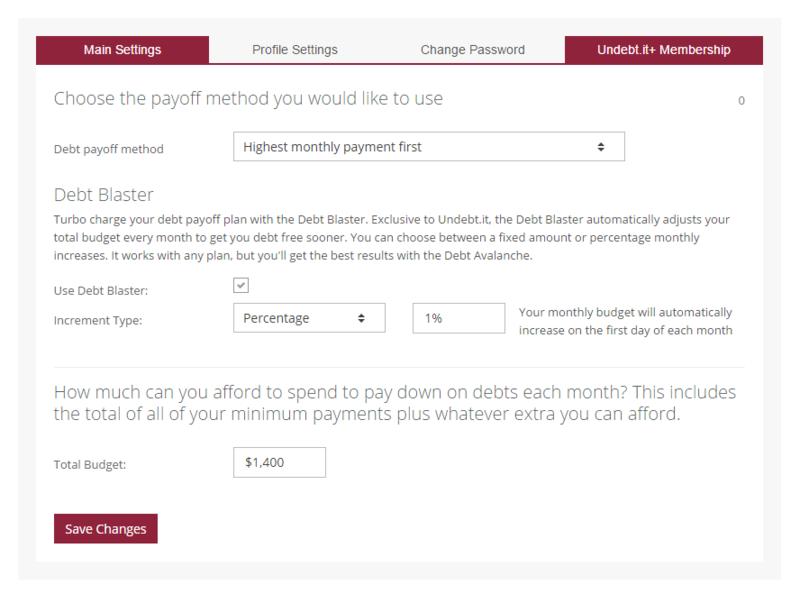 One of the biggest changes this version introduced was the freemium concept. 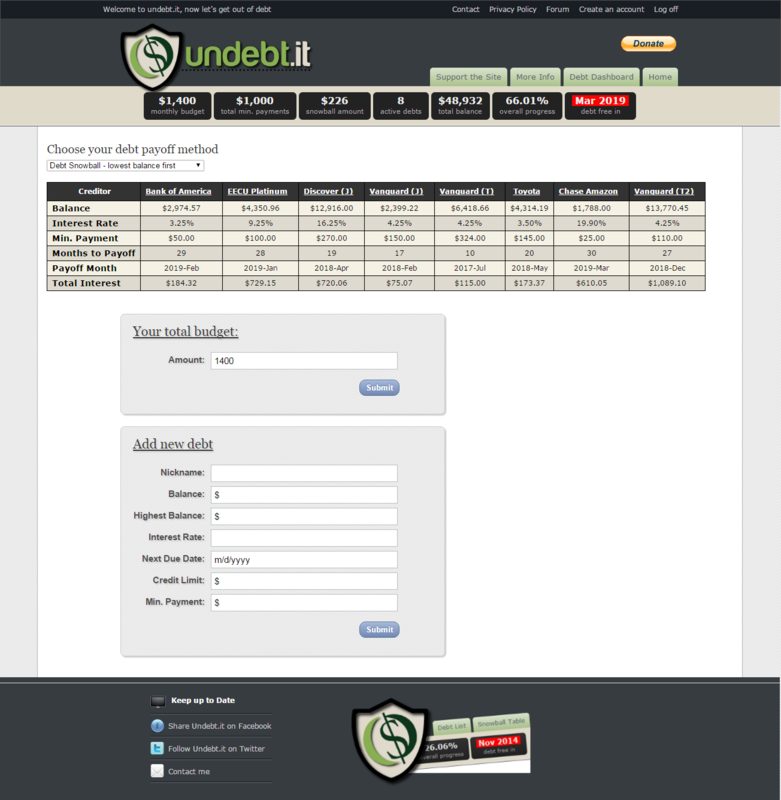 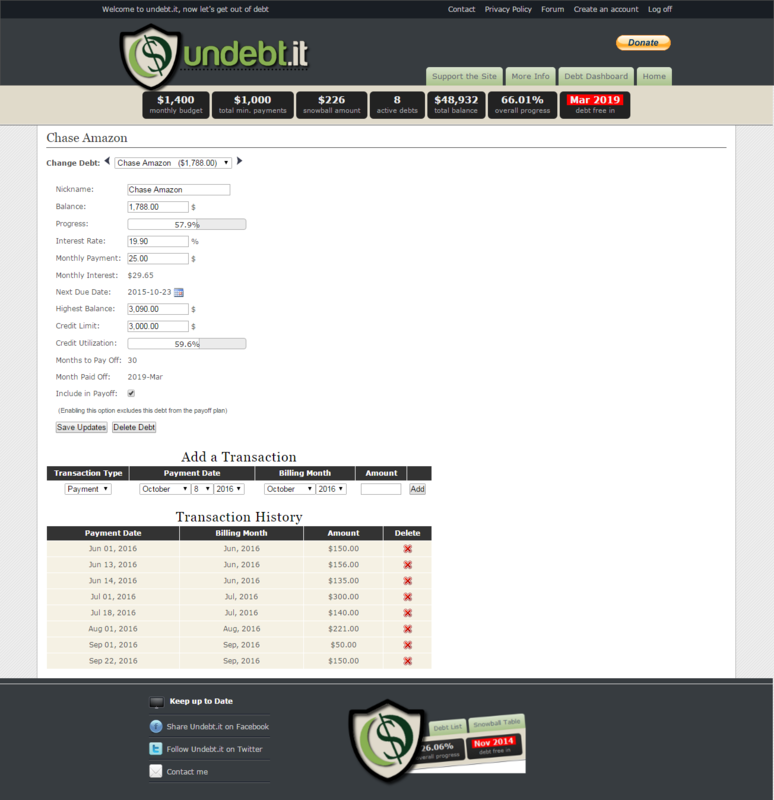 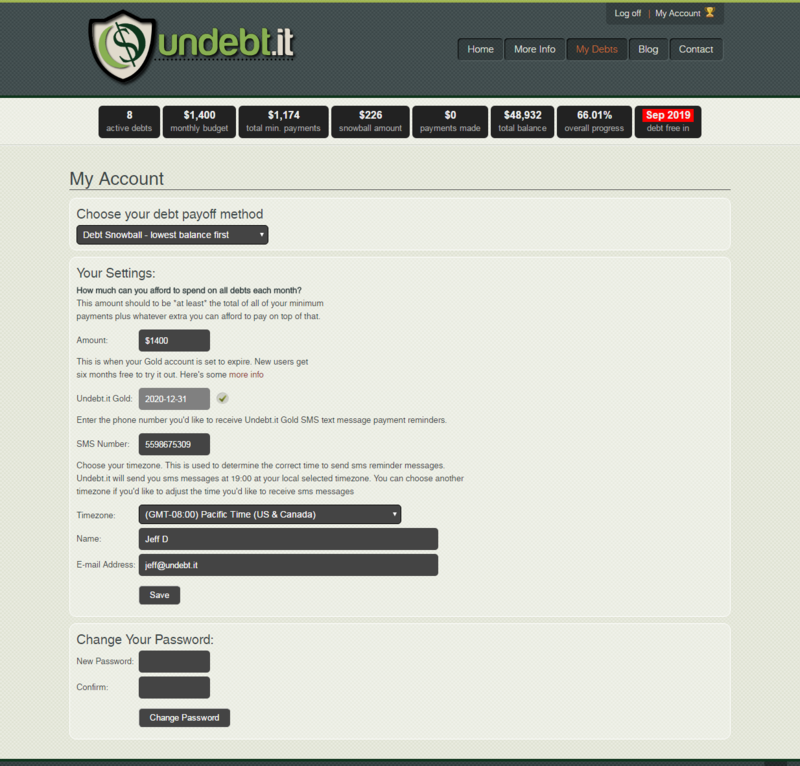 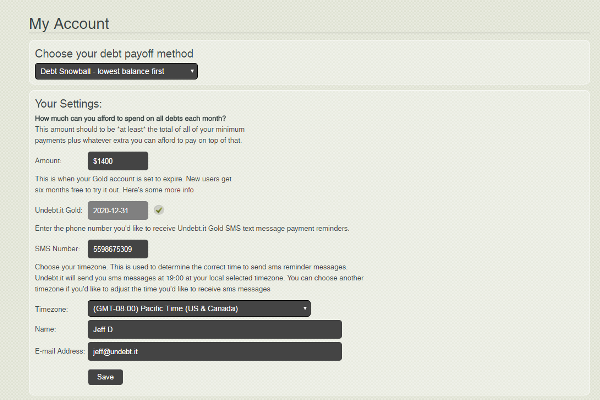 Undebt.it Gold (now called Undebt.it+) allowed users to purchase premium account access for a small yearly fee. 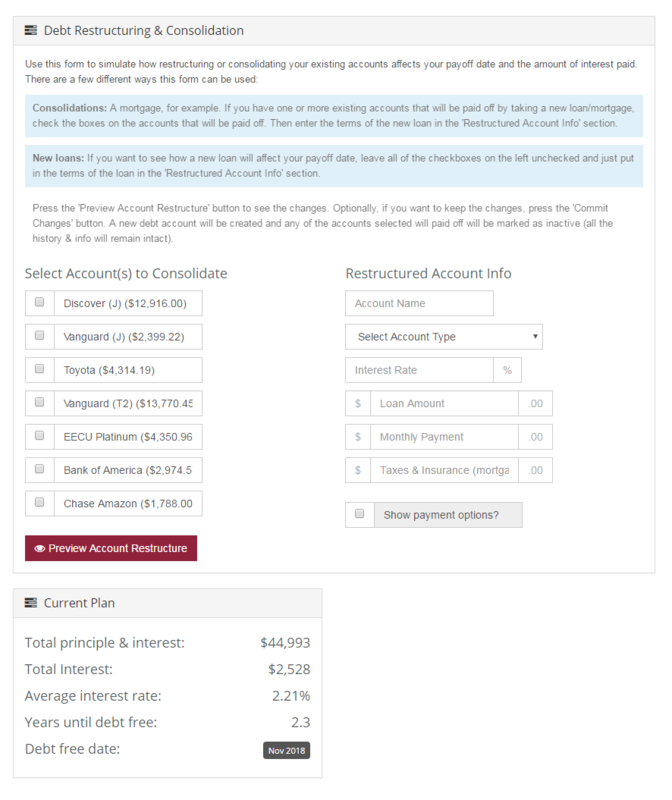 Of course, the free account still works just fine for many users. 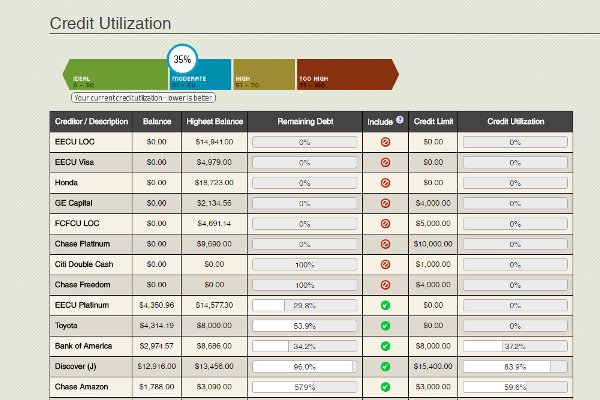 All of the pages received upgrades as well. 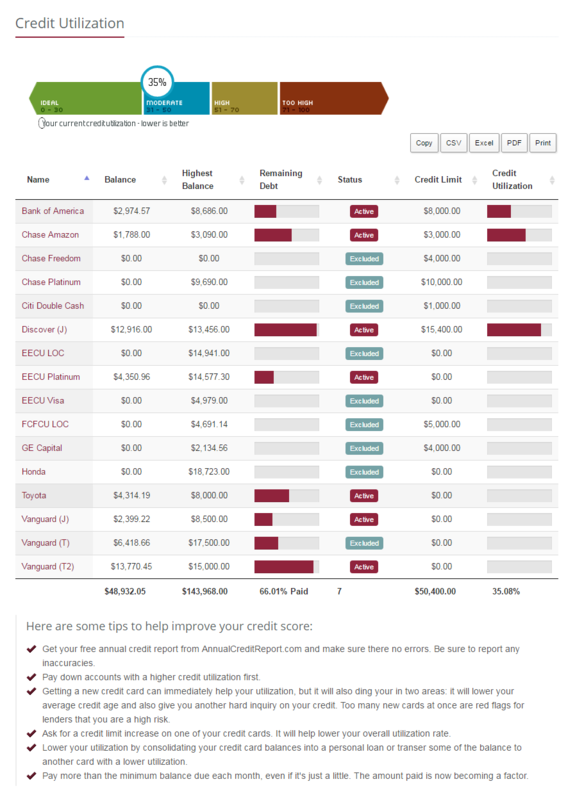 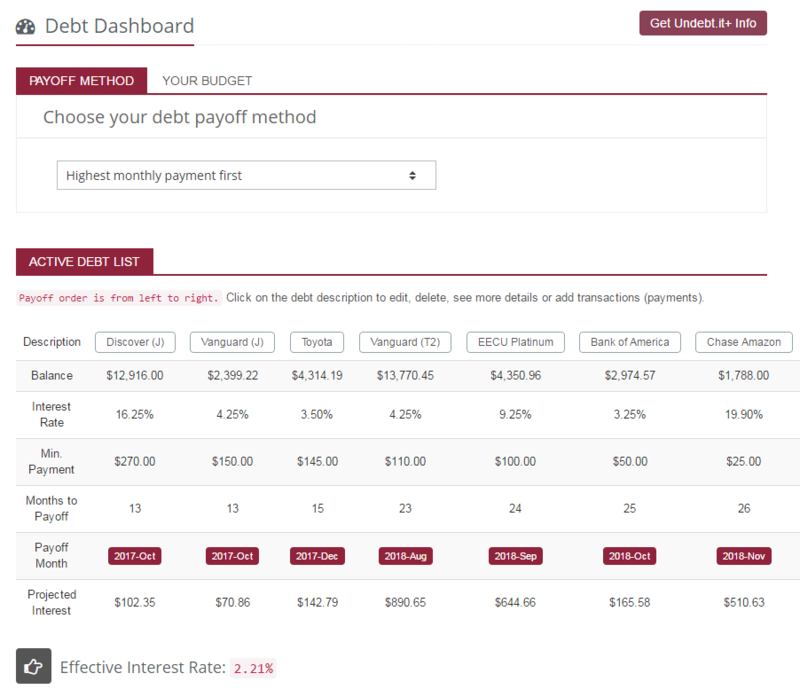 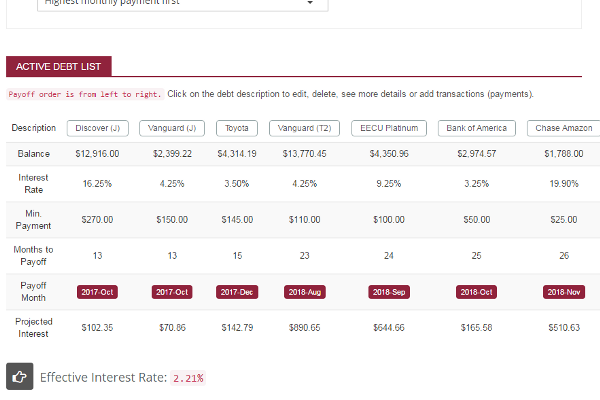 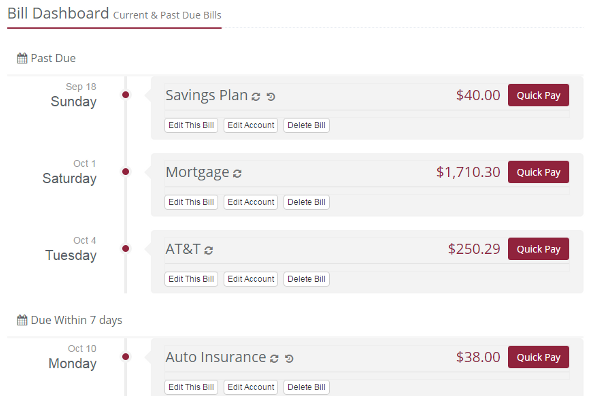 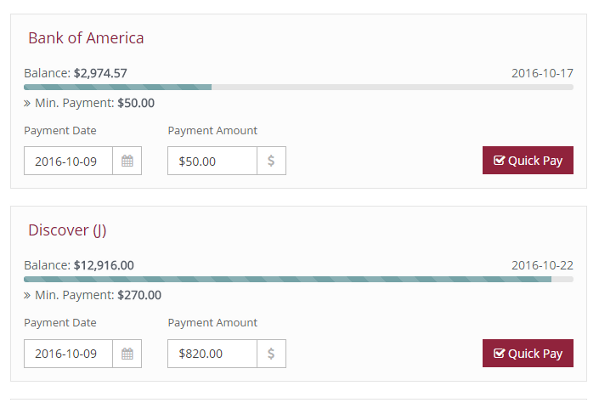 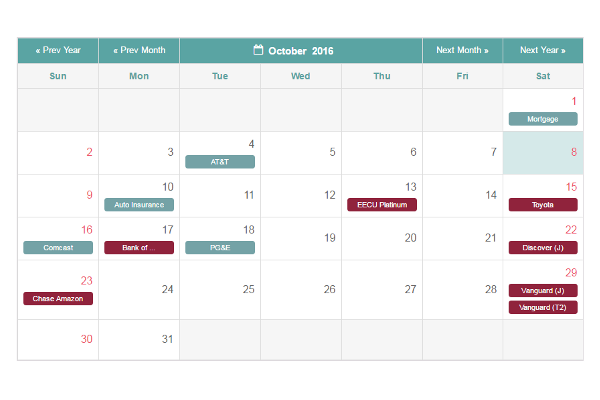 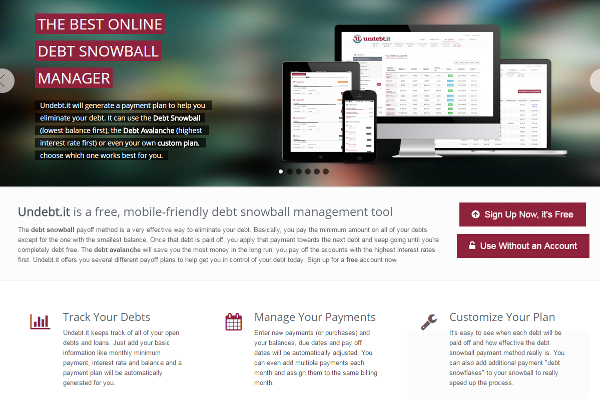 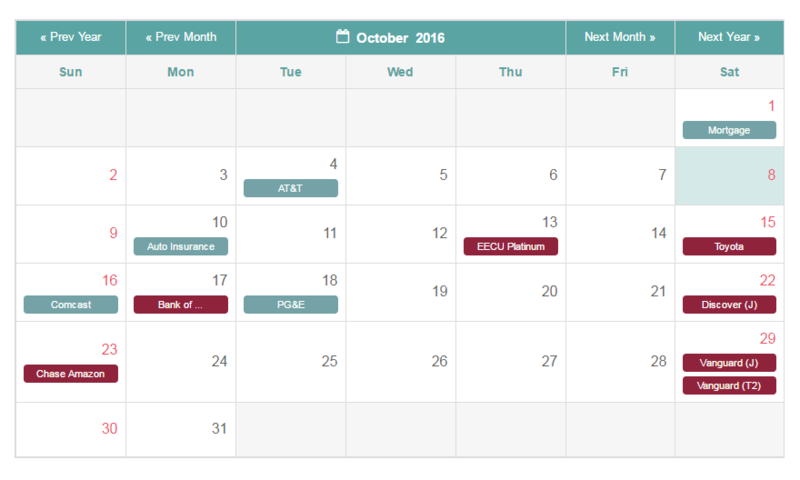 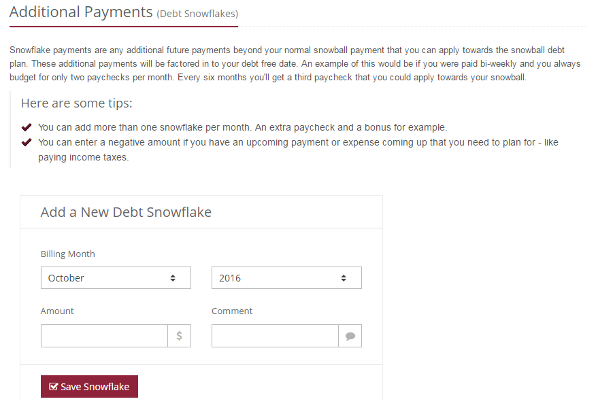 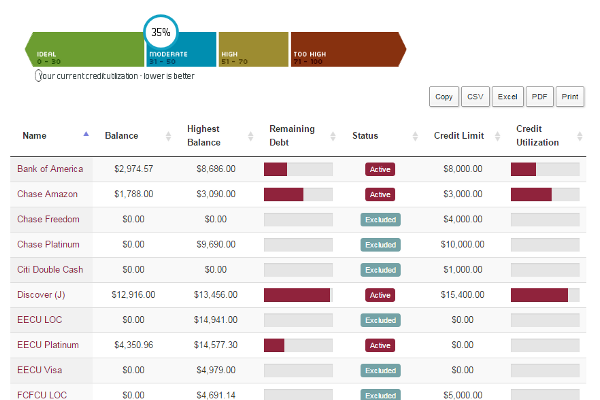 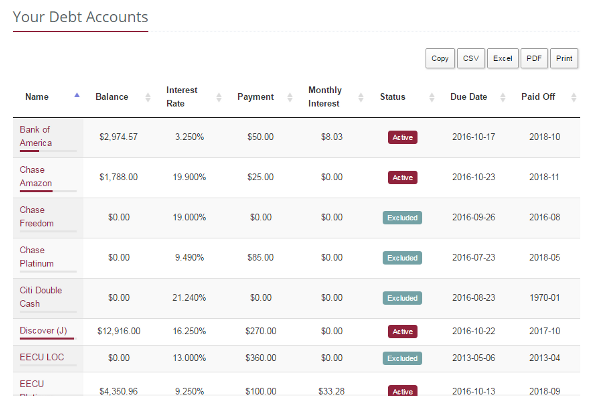 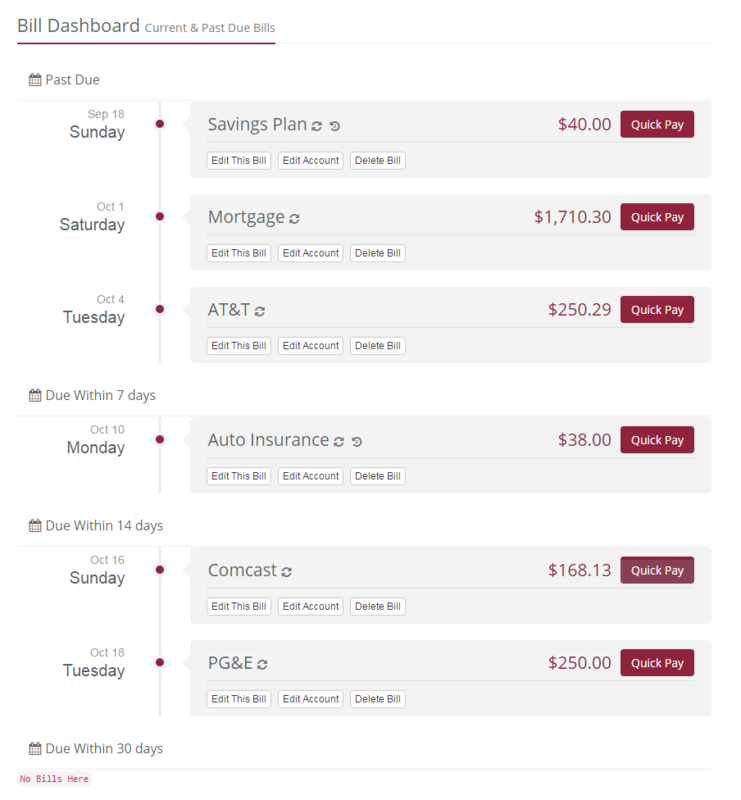 The debt dashboard added the payment manager so you could quickly record your debt payments. 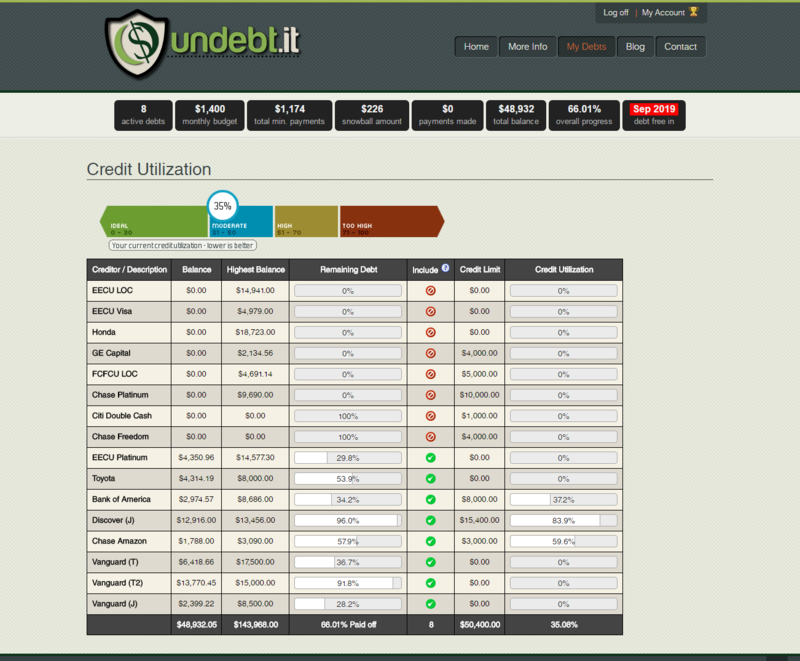 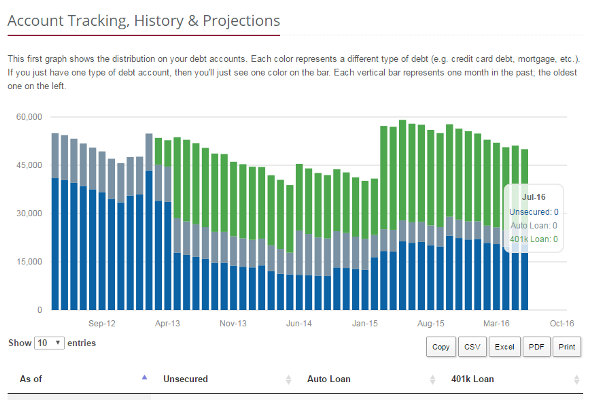 Credit utilization was also added in a few areas too. 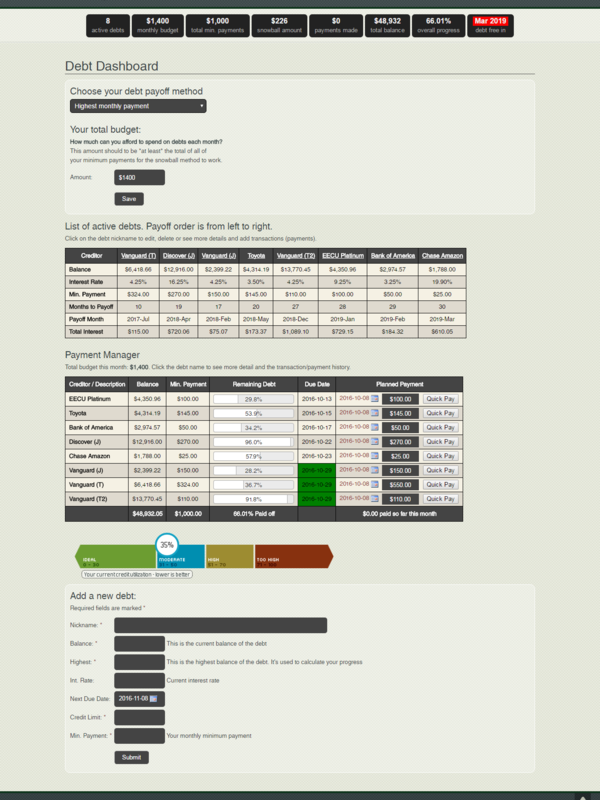 There were also many big changes in this version behind the scenes too. 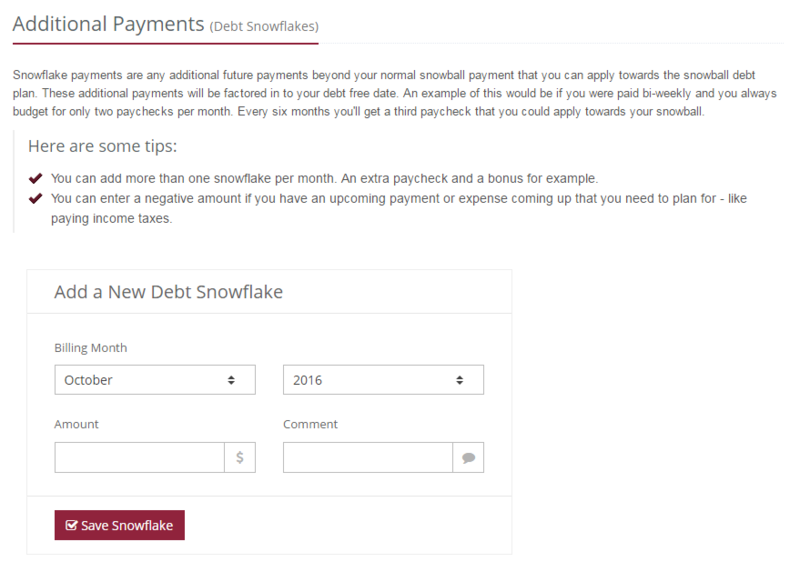 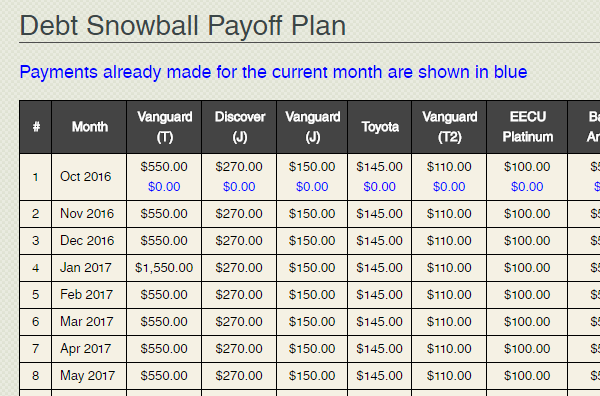 Major rework to the debt snowball table logic making it much more accurate.